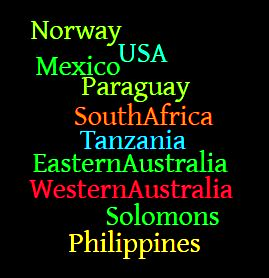 This CSW62 is currently being attended by eleven sisters coming from different parts of the world. 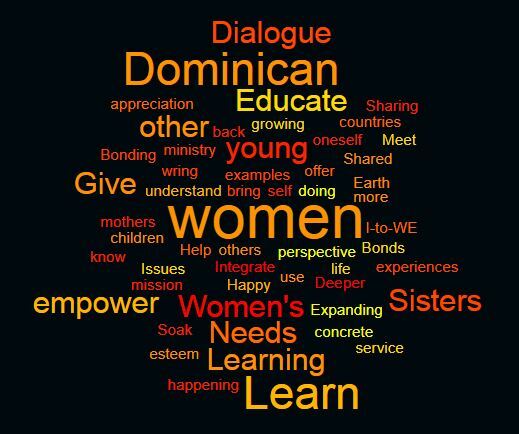 These eleven Dominicans represent all the continents under the Dominican Sisters International. 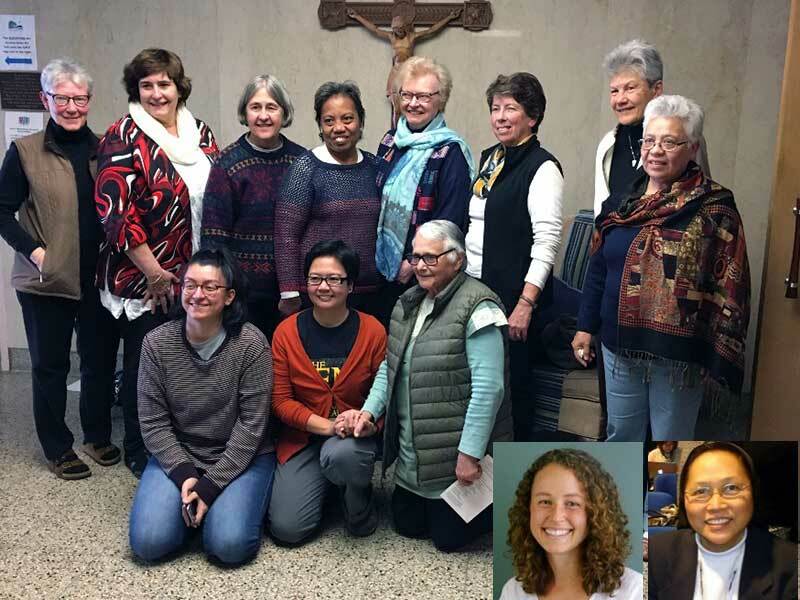 When the sisters first met and gathered at the Sower’s Room at Mariandale, Sr. Margaret Mayce invited the sisters to share something about themselves. They shared about their passion, interest and their ministries. 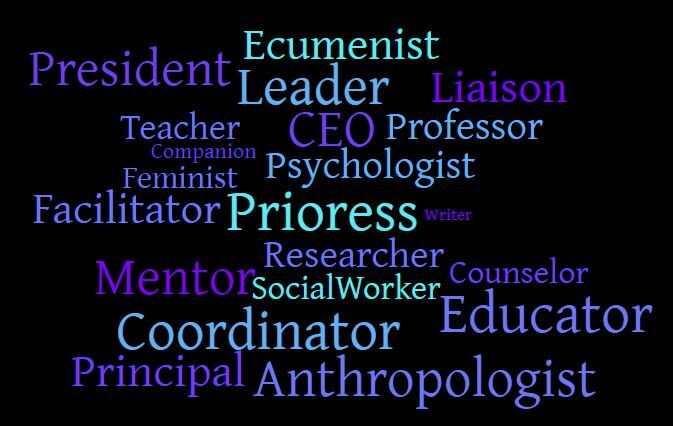 The word cloud of ministries highlighted the focus of their ministries – WOMEN-EMPOWER-JUSTICE-ISSUES. 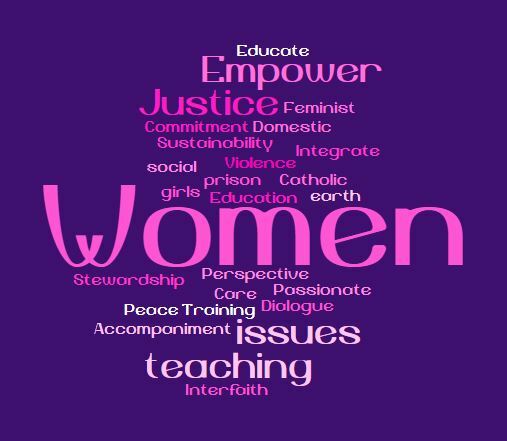 It is but appropriate that the passion/ministries of the sisters are in-line with the gatherings main agenda: the status of women and girls. A common theme among the participants is the desire to bond and build Dominican relationships. 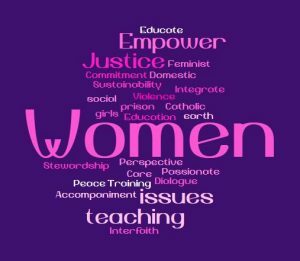 With their different and yet similar experiences, all of them are open to learn more and expand their minds with all the things that they will be experiencing and learning during the UN CSW62. Christin Tomy shared her hopes, “to soak in as much as I can, and then wring it out for others when I get home. Specifically, I hope that what I learn can help me better situate my work in a global context. I also hope to form bonds with my OP sisters and learn about how they’re living out our shared mission.” The other participants also share similar hopes for this gathering. All the preparations and logistics would not be possible without the hard work of both Sr. Margaret and Viviana Garcia, Dominican volunteer. Muchas Gracias! 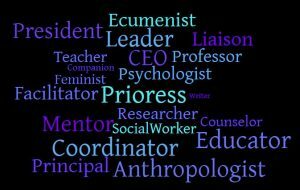 The participants hope to share their reflections with everyone for the whole duration of the CSW62. May this two-weeks be a time of bonding and learning for all of them.